Minami Kamakura High School Girls Cycling Club is a manga series by Noriyuki Matsumoto. An adaptation to anime was emitted between the 7 of January and the 25 of March of 2017. The opening theme is "Jitensha ni Hana wa Mau"(Flower Dances With Bike), performed by the idol unit AŌP and the Ending Theme is "Nijiyume Road" (Rainbow Dream Road) by Ikasan. The story revolves around Hiromi Maiharu, a girl who moves from Nagasaki to Kamakura. She began her new life in Kamakura and, although she had not ridden since she was a child, she was riding her bicycle for her first day in high school. On the way to the opening ceremony of the course he meets Tomoe Akitsuki, who will help him to train to improve his ability in cycling. The Military Chronicles of a Little Girl is a series of light novels gender fantasy written by Carlo Zen and illustrated by Shinobu Shinotsuki. Seven volumes have been published by Enterbrain in October 31, 2013. 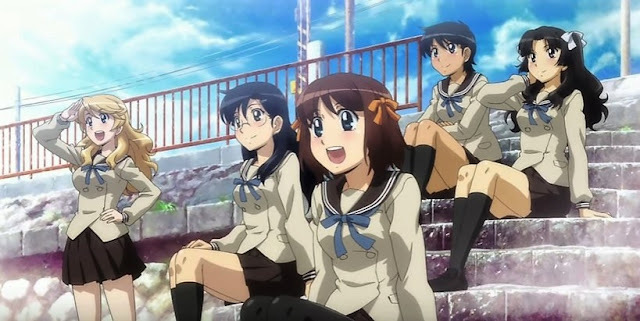 An adaptation manga began serialization on Comp Ace of Kadokawa Shoten, April 26, 2016, while an anime adaptation, produced by NUT, began television broadcasting in Japan on January 6, 2017. The opening theme is "Jingo Jungle" by Myth & Roid and the ending theme is "Los! Los! Los!" 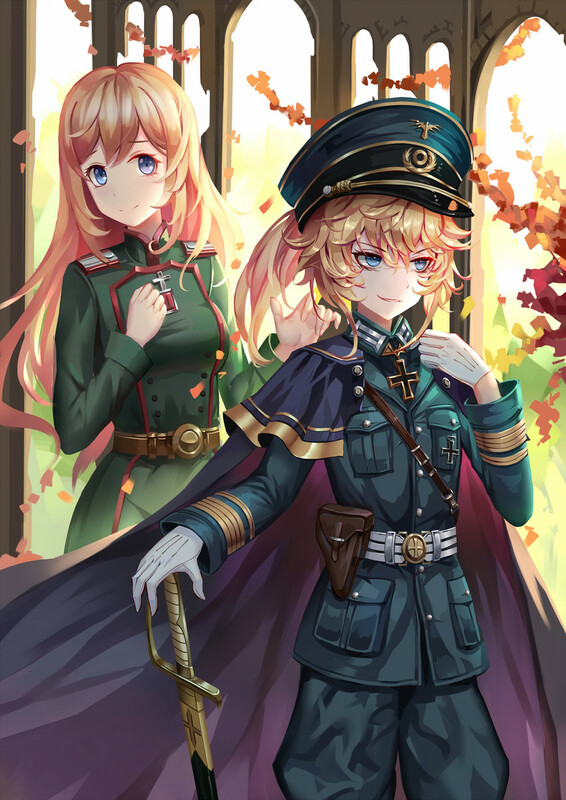 by Aoi Yuki as Tanya Degurechaff. To have offended God with his immoral conduct and his lack of faith, an ambitious and cynical salaryman Japanese, after his sudden death at the hands of an employee who had been fired, it is made to reincarnate in an alternate world, similar to Europe the Great war, where the German empire is engaged in a never-ending war with all its neighbors, with the promise from God that if it were to die yet after death violent or be unable to express sincere faith in him, his soul will be devoted to hell. The story takes place in Meiro-chou, a city renowned for fortune tellers. 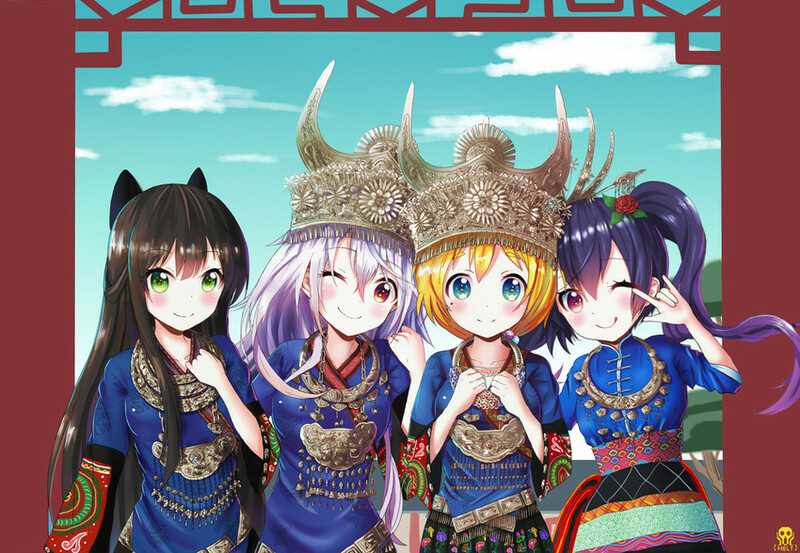 In a famous cartoonist institution named Urara, four girls who wish to become fortune tellers will start their initiation as learners. Chiya, who left the mountain to begin his training in town, will thus meet Kon, Koume and Nono. 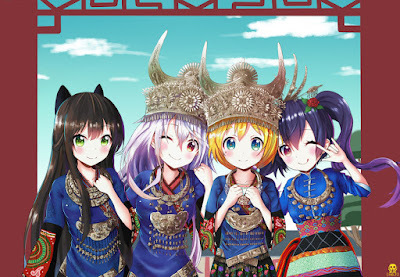 Urara Meirocho (Urara Labyrinth City) is a Japanese four-panel manga series by Harikamo, serialized in Houbunsha's seinen manga magazine Manga Time Kirara Miracle! since 2014. An anime television series by J.C. Staff began airing in Japan in January 2017.